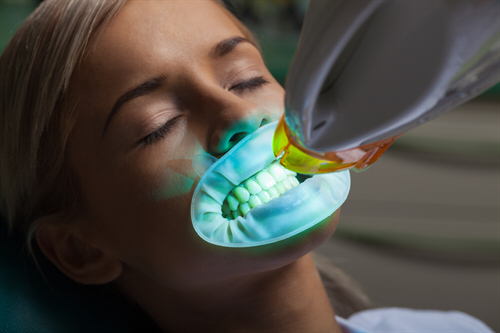 Professional supervised bleaching involves taking impressions, sending them away to have customised trays made. These can then have gel applied at home. The total treatment can usually be done within three to four weeks. First, you will need two or three visits to the dentist. Your dental team will need to make a mouthguard and will take impressions for this at the first appointment. Once your dental team has started the treatment, you will need to continue the treatment at home. This means regularly applying the whitening product over two to four weeks.